Have dogs, young children, or just love being outdoors? Then St.Francis Apartments is the place for you. 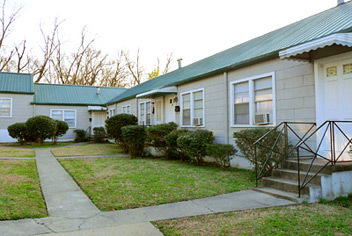 These cottage-style apartments are within walking distance of Homewood Park. Directly across from Nabeel’s Café & Market, you’ll be just steps from the Homewood Library, SoHo, and other local shops in the Homewood community. These apartments provide easy access to Hwy 31, I-65, Samford University, UAB, Brookwood Village, and more. We welcome pets with a $350.00 non-refundable pet fee per animal. Breed restrictions apply for dogs. Please call leasing office at 205.871.3488 for more information. * Click on unit size to view floor plans (floor plans require Adobe Acrobat Reader - free download here). ** Price is for a 12 month lease. 7 month leases are available for an additional $25/month. Call 205.871.3488 or email us at any time with questions. All lease prices are for one (1) year leases, seven (7) month leases available for additional $25.00 per month.